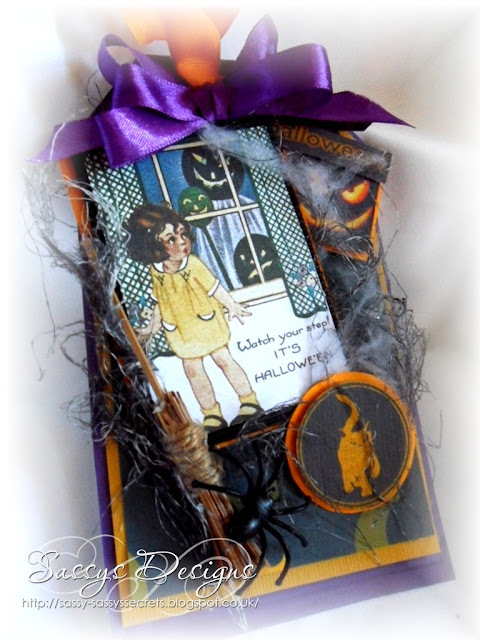 Morning my sweets...what a blustery day...sunny but flippin windy...onto my DT tag for nicecranedesigns i used the Spooky Halloween set to make the tag in oranges and purples added a creepy crawly spider..cobwebs..and bleckend cheescloth and a home made mini broomstick..from a old decoration its a quick post as again im all behind. lol!!!!! What an amazing tag Sassy. 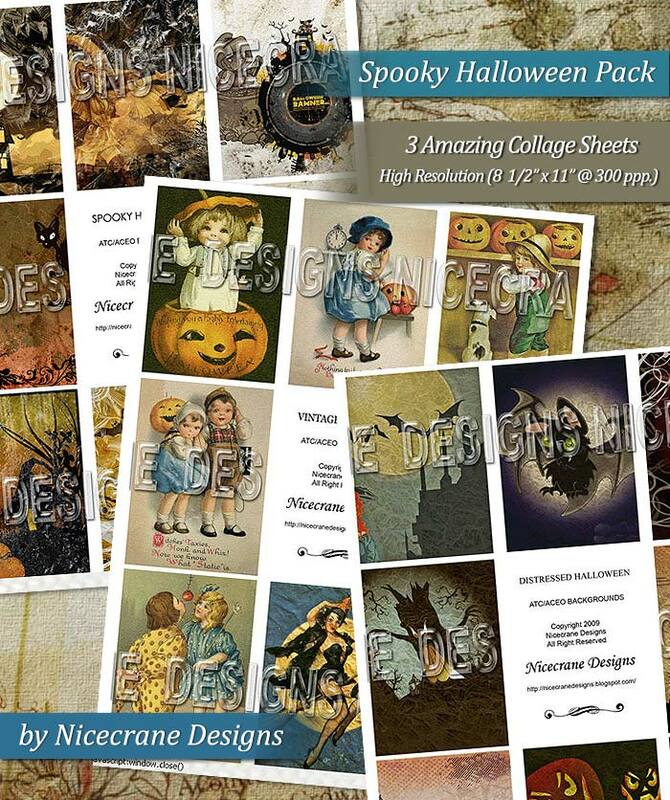 Love the halloween/vintage theme. Great colours too. Enjoy your day. A fabulous tag. I love the little broomstick. Love your halloween tag and your photo's are fab. Thank you for your comments on my blog post, I created the easel in the normal way, just used the base die from the Marianne Design set. If you need any help just let me know. This is fabulous, I love the image and all the spooooooky detailing!! Absolutely a incredible and soooo cute Halloween Tag,,,,Sassy,,,love the way you added my orange tag and funny pict and all over your funny spider,,,,,what a creativity........ horayyy for Sassy. A brilliant spookyful tag Sassy full of gorgeousness and so Halloween. Such a delightful Halloween tag Sassy. Your colours and details are stunning, especially your fantastic broom and horrendous spider!!! Your image is fabulous, it looks like one of my childhood books. An amazing tag Sassy, love the design and the colours! Absolutely gorgeous! 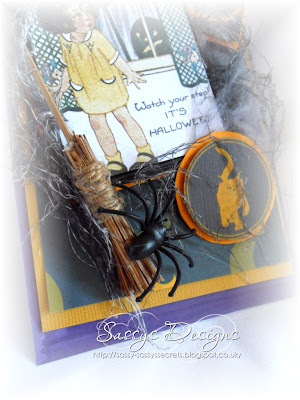 Love all the wonderful embellishments you used to enhance the adorable image, especially the broom! i want this cat stamp!!!!!!!!!!!!!!!!!!!!!! now !!!!!!!!!!!!!!!!!!!!!!!!!! that is sooooooooo stinkin cool!